[Via Satellite 10-19-2015] Leadership forming the U.S. First Responder Network Authority (FirstNet) is encouraging satellite companies to step up and play a role in building the nationwide public safety network. 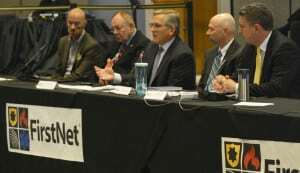 Representatives from FirstNet said Oct. 2 in a conference call with media that in order for the network to provide ubiquitous coverage throughout the country, a mix of technologies will likely be involved, and that satellite could have a key role in enabling FirstNet to meet its mandated responsibilities. The Middle Class Tax Relief and Job Creation Act of 2012 established FirstNet inside the Department of Commerce. The program is tasked with creating a national interoperable wireless broadband network for local, state, regional, tribal and federal first responders to use for communications during emergencies. Currently, public safety officials in the U.S. employ several disparate systems, and during times of crisis, can be inhibited by a lack of interoperability, among other challenges. Congress allocated nationwide 700 MHz spectrum and $7 billion in 2012 for construction of the first responder system, and FirstNet is looking to partner with industry to help deploy the network. Telecommunications providers large and small are expected to participate in launching the Nationwide Public Safety Broadband Network (NPSBN). Earlier this month FirstNet approved its national acquisition approach that creates opportunities for national and regional partnerships to build and operate the NPSBN. The FirstNet board also approved key elements of the NPSBN Request for Proposals (RFP) and the evaluation criterion. The RFP is slated for release later this year. 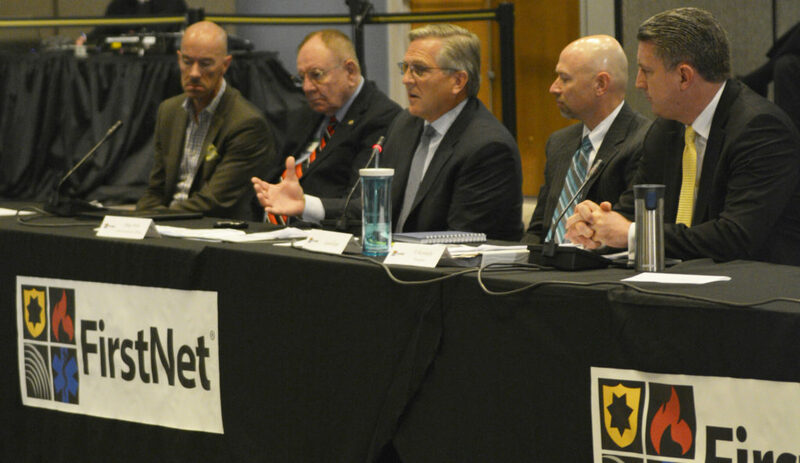 TJ Kennedy, president of FirstNet, said there are many roles satellite communications could play in the network. “We are expecting everyone who comes forward with a nationwide solution for the network to consider many different ways to provide backhaul, many different ways to ensure that we have deployable capabilities in areas that need to be restored or reconstituted after a storm or a natural disaster, as well as to serve special events. We recently had the Papal visit, [that’s] a good example of needing to add capacity for those kind of unique events. All of these have elements where I think satellite can really help support the nationwide network, and really help support public safety,” he said. Congress requires FirstNet to reach all 50 states and 6 territories, meaning the network will need to connect areas that do not all have large populations. These environments are often the domain of satellite communications, as satellite can be more affordable than rolling out and maintaining new terrestrial infrastructure. The level of industry partnership will help determine how cost-effective FirstNet can ultimately be in its network rollout. In an April 2015 study, the U.S. Government Accountability Office (GAO) cited a range of potential cost figures by various entities that range from $12 billion to $47 billion over the first 10 years. GAO highlighted FirstNet’s business model, particularly the extent of commercial partnerships, as a direct influence on the cost. Other factors include the use of existing infrastructure, efforts to ensure network reliability, and network coverage. FirstNet, aware of these factors, is seeking to tap industry to prevent costs from ballooning. The organization has hosted two industry days this year to gather input from companies, government and public safety experts as the network architecture is formulated. The post FirstNet Encourages Satellite Companies to Help Build US Public Safety Network appeared first on Via Satellite.